← Aaron Paul REALLY Loves His Wife. So Did Tom Cruise. Ladies, tighten your belts because you are going to want to take your pants OFF in one hot second. Says it all in the top left corner. See? Aren’t you glad I warned you? Because honestly, who the HELL can resist the charms of ripped white jeans and a canary yellow top which emphasizes tan and toned arms? Don’t even get me started on the hair. The Adonis above is none other than Tommy Puett, the super fine actor who portrayed bespectacled-Becca’s crush Tyler Benchfield on one of the most earnest TV shows of all time Life Goes On, which aired on ABC from 1989-1993. This show dealt with it all: Down’s Syndrome, HIV, car accidents. God I loved it. And we didn’t even get to the best part. 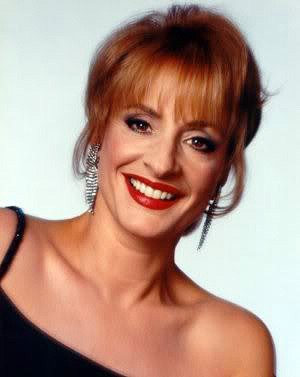 PATTI LuPONE played the mom! 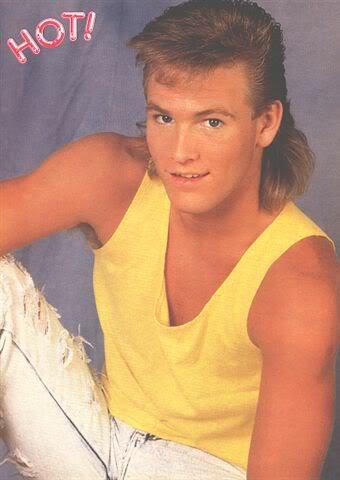 Tyler, of course, had to die in a car accident to make way for Becca’s new love Jesse (the one and only Chad Lowe), who just happened to have HIV. How early ’90s! So what happened to Tommy anyway? After leaving Life in 1992, he guest starred on an episode of Step by Step, the mark of a true thespian, and virtually disappeared from our screens (although according to a wikipedia, he played “Ben” in Switchback in 1997, a seemingly real movie starring Dennis Quaid and Danny Glover). Since then, nothing. But luckily there is such a thing as google so I discovered that Tommy, now 42, remains a true innovator. Noting that “No one’s ever done anything in the baseball cap world other than the regular standard baseball cap, ” Tommy launched, wait for it, Lil’Brims, where he manufactures baseball caps with bills tilted up. Tommy boasts in the video above, made in 2008, that “We’re going to be creating a whole new trend with these caps.” This trend has been so successful over the past five years that the Lil’Brims website is down and they have 12 Twitter followers. I think it’s time he gets back with Becca. They would make such a beautiful couple. No need to watch the whole 11 plus minutes below. Scroll to any point in the timeline and be dazzled by the magic of Kellie Martin’s glasses and Tommy’s hair. After all, life goes on! Oh yes, I said it. This entry was posted in Trip Down Memory Lane and tagged Life Goes On, Tommy Puett. Bookmark the permalink. Tommy Puett now runs Ultra Sports Products. He retired from acting in 1997. You can check out his website by going to ultrasportsproducts.com .